Welcome to Kea Street Specialist School. Respect, Independence, Community & Excellence. Whakamana, Whakatipuranga, Hapori & Kairangi. The 2019 year has commenced with the highest roll ever for our school at 81 students. 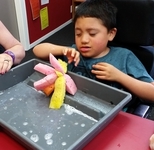 We are a Specialist school providing education for students aged five to twenty-one years, with intellectual and physical disabilities, from the greater Rotorua and Taupo area. In Rotorua, satellite classes operate at Western Heights School, Selwyn Primary School, Kaitao Middle School, Owhata Primary, Sunset Primary and 2 satellite classes at Malfroy. In Taupo there is a class located at Mountview Primary School. Five classes operate at the Kea Street base school, in the western suburbs of Rotorua. All students are enrolled at Kea Street Specialist School, and all staff, including teacher aides, are employed by the Kea Street Board of Trustees. A large Activity Centre provides an area for full assemblies, celebratory occasions, dance, movement, physical activities and music. There is a Sensory room there as well. Horse riding, gymnastics, ten pin bowling, Flip Out, recycling, library visits, dance, woodwork, computer off site experience, swimming plus day trips organised by the teachers for their classes. Physiotherapist, Occupational Therapist, Vision and Mobility Therapist, Psychologist and two Speech and Language Therapists. My vision is to strive to employ the best staff for the students, and to provide a nurturing, happy environment for them, where they are truly valued. 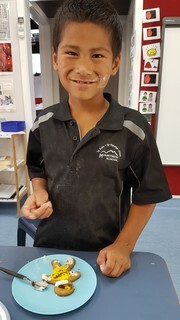 Our collective Vision is to provide opportunities for each student to access learning at their level, and develop to their full potential as learners and members of the community in Aotearoa. I welcome the involvement of the Community and work closely with parents and caregivers, as well as local authorities plus our own onsite specialists, to provide excellent learning opportunities for all students. It is important for us to all enjoy our time at school, for the students to be purposeful and successful to attain their potential, for our staff to be challenged and fulfilled, and for the whole community to be involved in the learning process. We operate a unique and specific curriculum centred around the needs of each student, providing a learning environment that is motivating and challenging, success orientated, relevant with practical outcomes, individualised, and supported by specialists on site here at school. This website is intended to give you an overview of life at our unique school. We always encourage visits, however in the interim, if you would like to know anything further, please contact us. their full potential in a caring, safe and supportive environment. Human Rights Comission: A new free resource “Your human rights and making complaints – A guide for disabled people and their families”.